With over 50 years in the music industry and 300 million record sales to his name, Elton John is one of the world’s most successful solo musicians. Next year, John’s life will be the basis of Rocketman, opening on May 31, 2019. The long-in-development biopic, which stars Taron Egerton as the singer, focuses on the artist’s early life, his career, and struggles with drug and alcohol addiction. There’s a twist to this story, however, as Rocketman also features fantasy elements. The first trailer for the film, just released, gives us an idea of how director Dexter Fletcher is bringing John’s story to the big screen. Set to the tune of two of John’s biggest hits, “Bennie And The Jets” and “Rocket Man,” the trailer takes us on a speedy journey through his life. It offers glimpses of childhood and an early recording session, before transitioning into some of the most pivotal moments in John’s career. There’s a flash of his legendary Dodger Stadium concert, and his recording of “Don’t Go Breaking My Heart” alongside Kiki Dee. 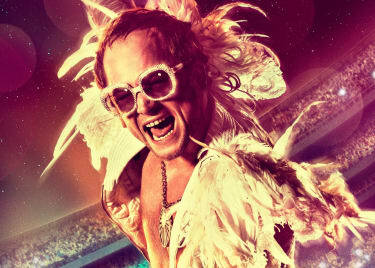 These scenes give us a taste of Egerton’s performance as Elton John. The actor, best known for his role in the Kingsman franchise (which featured the Rocket Man himself in a supporting role), transforms himself into the beloved singer. Egerton shows off all the right mannerisms, John’s raspy voice, and his inherent charisma. The film’s version of Elton John promises a wild ride. That won’t be merely courtesy of his musical journey and illustrious career; his outrageous lifestyle was an incredible spectacle. The trailer puts a specific focus on John’s infamously hot temper and, most importantly, his life-threatening struggle with alcohol and drug addiction. 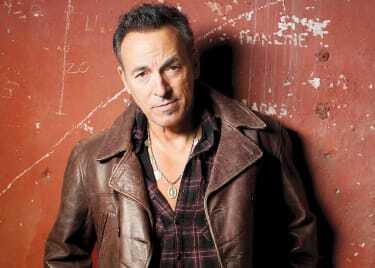 The singer’s history with substance abuse, and his subsequent recovery, are pivotal aspects of his legacy. Rocketman won’t shy away from that difficult subject matter. At one point in the trailer, John, clearly distraught, throws himself into a pool. This moment, while brief, seems to hint at a deeply emotional exploration of the singer as he battles his demons and ultimately seeks help. 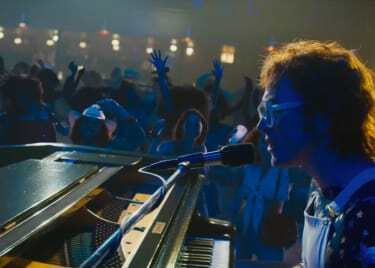 The trailer offers glimpses of this peculiar mix, depicting a grand musical scene presumably set during John’s childhood and showing the singer floating alongside his audience during a live performance. Given the artist’s larger-than-life career, musical vision, and lifestyle, it seems fitting to see his story elevated through fantasy.